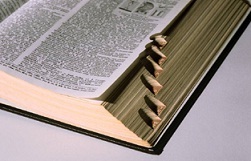 Have you ever wondered why Merriam-Webster is seen as the standard in dictionaries? It's easy to understand when you know a bit of its history. Let's start at the beginning. 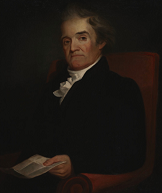 Noah Webster published his first dictionary, A Compendious Dictionary of the English Language, in 1806. It was the first genuinely American dictionary. The very next year he began work on an expanded, comprehensive work, The American Dictionary of the English Language. Webster learned 26 languages so that he could better evaluate the etymology of words! Not surprisingly, it took Webster twenty-seven years to complete this daunting task. This second volume contained seventy thousand words. Twelve thousand of them had never appeared in a published dictionary before. Webster took some liberties with spelling rules used in England because he believed that some were needlessly complicated. He introduced American spellings to replace the British spellings of some words. For example, he replaced colour with color. He changed centre to center. Webster also added American words that did not appear in British dictionaries. Webster's The American Dictionary of the English Language was published at last in 1828 and sold 2500 copies, Webster was seventy years old at the time. He published a second edition in 1840. Noah Webster died in 1843. After Webster's death, George and Charles Merriam obtained publishing and revision rights to the second edition of Webster's dictionary. They published revisions of this dictionary in 1847 and 1859. In 1864 Merriam published a greatly expanded edition, known as the Unabridged. This edition was the first one that changed some of Webster's text. However, it retained his title, An American Dictionary. Merriam published another edition in 1890 titled International, followed by Webster's New International in 1909 and 1934. The 1934's contents surpassed a half million entry words. A large revision to the New occurred again 1961 with the release of Webster's Third New International Dictionary. THE Dictionary for Spelling Bees! Webster's Third New International Dictionary is the official dictionary for Scripp's National Spelling Bee. This classic text is available on CD-Rom as well as in the traditional bound version. I own this volume, and it's a whopper! Click through the links below to go to Amazon and find the dictionary that best suits your needs. Will any other dictionary publisher ever out-perform Merriam-Webster? We can't say for sure, but it's unlikely to happen in the near future.